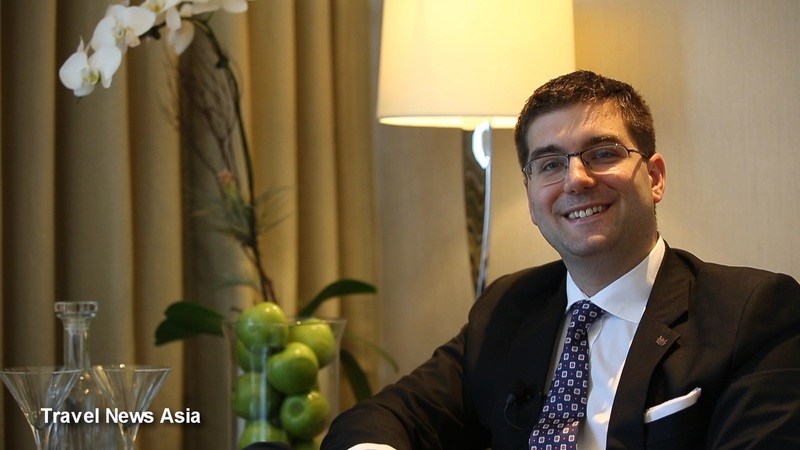 [HD video and podcast below] Exclusive HD video interview with Philip Barnes, Residence Manager of Ascott Bonifacio Global City in Manila, Philippines. In this interview, filmed in one of the property's suites on 16 November 2016, we talk to Philip about Bonifacio Global City (BGC) and where it fits into Manila's expansion plans and what type of companies are moving into the area. We discuss the Ascott BGC and ask how a hotel differs from a serviced residence and what the advantages are to staying in the latter. We ask what percentage of the serviced apartments are dedicated to long vs short stay and talk about where guests are coming from, which markets Philip expects to grow in 2017 and how 2016 compares to 2015. Philip tells us what challenges he faces in promoting and marketing the benefits of staying in a serviced residence and what some of the signature benefits, such as high speed and complimentary internet access, are when staying at an Ascott property. We also discuss how the Ascott Bonifacio Global City manages to not only attract quality staff, but also retain the shining stars they do find, and what Ascott is doing to encourage language skills such as learning Mandarin. Philip tells us where the majority of bookings are coming from, what percentage come through online channels and what targets they have for 2017, plus much, much more in the video below. See also: Ascott’s Brands and Expansion Plans for Philippines / Thailand - HD Video Interview with Arthur Gindap, HD Video Interview with Philip Barnes of Ascott BGC in Manila, Philippines, Ascott Makati - Interview with Joanne Golong-Gomez, General Manager and Filipino Cuisine - Interview with Margarita Forés, Asia’s Best Female Chef 2016 plus other: HD Videos and Podcasts. See other recent news regarding: Ascott, Bonifacio Global Village, Manila, Philippines.